HomeBrie Larson a.k.a MCU’s Captain Marvel is finally here to save the nine realms! For any Marvel Comic or Marvel Cinematic Universe, today is a treat. 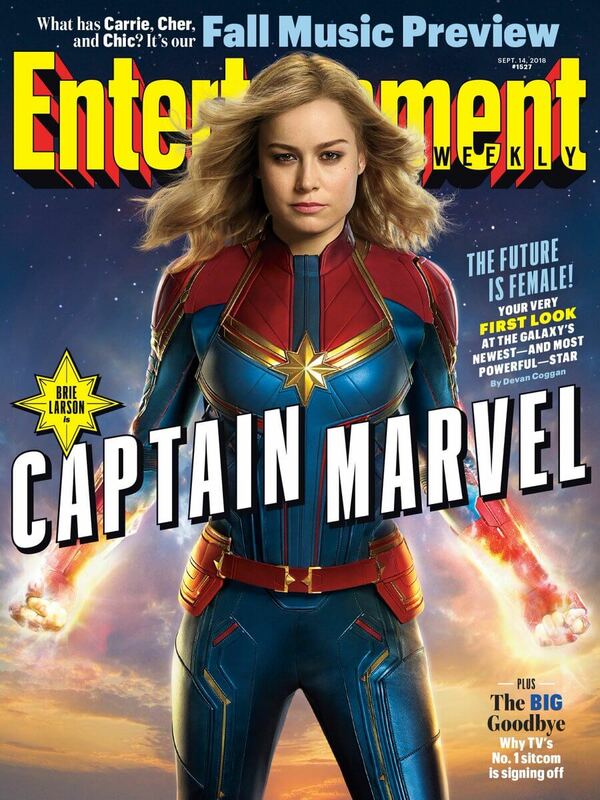 Entertainment Weekly was given the honour of presenting Marvel Studios’ first poster of Captain Marvel on its cover of September edition, after a long… long wait! The poster features Brie Larson as the titular character, standing tall and strong as she powerfully owns the moment. Captain Marvel also gets her superhero suit similar to that in the comics. The cover also gives a glimpse at one of her many superpowers, which seems to be Pyrokinesis. For the uninitiated, let’s start where it all ended. After 18 years, 3 phases and over 20 films, Marvel Studio’s promised to connect all the dots and reveal all its teases in their last film – Avengers: Infinity Wars. But rather than finding peace, Marvel left us with more unanswered questions. Avengers: Infinity Wars began because of six infinity stones, each possessing power beyond any man’s control. Thanos, the coolest villain of all times, gets hold of the infinity gauntlet which can process the power of these stones combined. He then leaves on a hunt to find the stones and heroically manages in doing so – in spite of an entire class of superheroes trying against that. In the end, a trans-humanist Thanos snaps his finger to wipe out half of the universe. S.H.I.E.L.D agent Nick Fury, who lead the Avengers, also turns into flakes because of the snap. 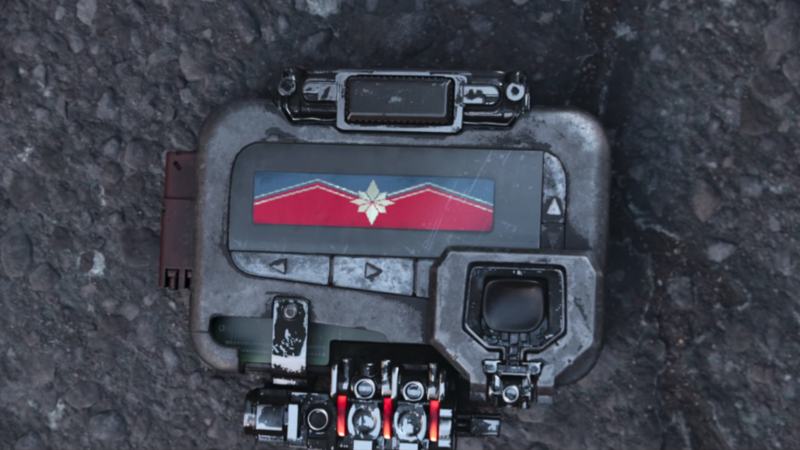 But in the post-credit scene, he sends out a signal to Captain Marvel. Now, coming back to the present! Captain Marvel a.k.a Carol Danver is a pilot and part of the elite Starforce team of the Kree military who is caught up in saving Earth from an intergalactic conflict between two alien worlds. The film is based in 1990’s, realm Earth. Captain Marvel is the standalone film that will introduce Carol’s character in the timeline. This film will also see Nick Fury, played by Samuel Jackson, where he will not have to “turn a lot” to see the entire picture because he has two functional eyes and will be a lot younger than as seen in the current MCU timeline. The film releases in March 2019 and with this, we get one step closer to her until she finally saves the nine realms in Avengers 4 (hopefully!) Captain Marvel might not follow the same story as Marvel comics, as mentioned by directors Anna Boden and Ryan Fleck. This is the second MCU period film after Captain America: The First Avenger. PS: Get ready to see the Krees and much-talked-about and disputed Skrulls in Captain Marvel! And Paul Colson too!